Are you ready to develop your skills in our rapidly improving single-form entry school? The Governors are looking to appoint an ambitious, inspirational and energetic teacher to join our dedicated teaching team. The post would be suitable for an NQT. • Delightful, well behaved, highly motivated and enthusiastic children. • Very supportive colleagues, parents and governors. • The opportunity to be part of a rapidly improving school. • High levels of adult classroom support. • Excellent CPD opportunities including NQT support if applicable. • The chance to work within the successful and supportive London Diocese and RBKC Local Authority. • Has a proven track record of excellent teaching standards. • Has some experience in a KS1 setting (in a placement for an NQT). • Will be a motivated and inspirational team member and team player. • Has some experience and a knowledge of excellent phonics teaching. • Is committed to the Christian ethos of the school. • Is creative, organised, innovative, open to new ideas and able to show a high degree of initiative. • Is ambitious and has high expectations for all the children in the school. • Has excellent communication and interpersonal skills. Visits to the school are strongly encouraged. 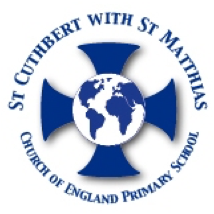 To arrange a visit and receive an application pack, please contact Cathy Cryer at cathy.cryer@scwsm.rbkc.sch.uk or on 020 7370 9111. Closing date: 12 noon, Monday 25th February 2019. Completed application forms can be sent to the school’s address or emailed to the email address above. Interviews: Tuesday 5th March 2019, 9am. If shortlisted, you will be invited to teach a lesson in a class. The school is committed to safeguarding and promoting the welfare of children and young people and expects all staff and volunteers to share this commitment. All posts are subject to pre-employment checks, references will be sought and successful candidates will have an enhanced DBS check.